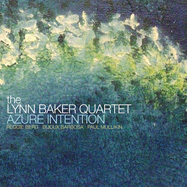 Welcome to the Lynn Baker Jazz web site - glad you're here. 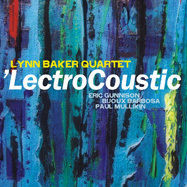 The song that plays as you open the page is "Home of the Whopper" and begins a sample of five of the tunes from my newest recording on Origin Records LectroCoustic, released May 21, 2013. Click the following link to read more about LectroCoustic and stream other songs from the player at the bottom of this page. Learn even more about the recording, including getting access to the leadsheets, transcriptions of my solos (at concert and transposed pitch) from Azure Intention, and watch videos about the "back story" and technical details of the tunes I invite you to register for the site from the "Premium Features" link on the navigation menu. Registering will also give you access to engage with this community of music-lovers on my blog. Read about me, see pictures and videos from the Gallery and review Reviews from the "Press" link. I'd love to work with you, see the "Services" link for a page of suggestions of how your venue or educational program might be able to engage me and/or my band. Go to the "Store" to find links to purchase recordings, ringtones, and license performances of my Big Band and Orchestral compositions. Please send me an email about performing, licensing music, or just say hello from the "Contact" page where you can also contact my booking agent. You can also follow me on Twitter, "friend me" on Facebook, and become my Fan on ReverbNation from the Contact link. Well, there's your introduction. I hope you enjoy exploring here and return frequently.